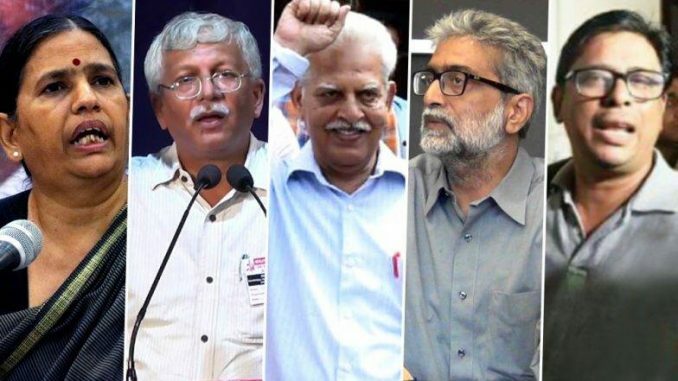 In the letter sent to the Indian Government recently, the Special Rapporteurs said all six human rights defenders have been particularly active in defending the rights of marginalised communities, including in Naxal-hit areas. The communication has also sought details about their arrest in different places of India on charges of conspiracy to assassinate Prime Minister Narendra Modi. Terming them human rights defenders, Special Rapporteurs David Kaye, Clement Nyaletsossi Voule and Michel Forst have asked Indian Mission in Geneva to provide additional information about the factual and legal grounds for the arrest and explain how they are in conformity with international human right law, especially with regards to Articles 9 and 14 of the International Covenant on Civil and Political Rights (ICCPR). “In particular, provide information about the evidence used to substantiate the charges of incitement to violence and the charge of attempting to assassinate the Prime Minister. Please explain the reasoning behind the subjection of Mahesh Raut, Sudhir Dhawale, Roma Wilson to solitary confinement and how this is compatible with international human rights norms and standards. We would like to have information concerning the arrest and detention of Surendra Gadling, Rona Wilson, Shoma Sen, Sudhir Dhawale, and Mahesh Raut and allegations concerning a smear campaign targeting Sudha Bhardwaj,” Special Rapporteur said in a letter. Special Rapporteur is a title given to individuals working on behalf of the United Nations (UN) within the scope of “special procedure” mechanisms who have a specific country or thematic mandate from the United Nations Human Rights Council. After intelligence inputs, a team of the Maharashtra Police had carried out synchronised raids in five States at the homes of Naxal sympathisers. All arrested activists have alleged Maoists links and are currently in jail. Taking note of this, the Ministry of Home Affairs has asked Governments of Maharashtra and Delhi to provide all details in the arrest of them. ‘All such communications are required to be appropriately replied , on the basis of inputs received from the concerned state governments within stipulated time frame’, the MHA said in its communiques to Governments of Delhi and Maharashtra. The Special Rapporteurs’ letter further read ‘kindly indicate what measures have been taken to ensure that human rights defenders in India are able to carry out their legitimate work in an enabling environment without fear of judicial harassment of any kind’. ‘Sudha Bhardwaj is a human right lawyer specialising on the rights of Adivasi people in the state of Chattisgarh and has been involved in several cases of alleged faked encounters while Mahesh Raut is a land rights defender who is also involved in the people movement against displacement . Suhir Dhawale is a dalit rights defender and is editor of the Marathi magazine’Vidrohi’. Soma Sen is a women right defender while Rona Wilson is the Public Relation Secretary of the Committee for the Release of Political Prisoners which has actively opposed restrictive laws. Surendra Gadling is also a human rights lawyer’, read the letter.